I had the good fortune of taking in the Toronto Symphony Orchestra perform Stravinsky’s Rite of Spring last night at Roy Thompson Hall. The young Russian, Vasily Petrenko, was guest conducting. Anyone who’s heard his 2010 recordings of the eighth and tenth Shostakovich symphonies with the Liverpool Philharmonic Orchestra (on Naxos) will know why that fact is worth mentioning. Petrenko is a supreme talent: passionate and full of insight – and possibly only a third of the average age of what was a largely brontosaurial crowd. It’s a great thing to hear the conducting. And visually, it was as though he were dancing the Rite while maestroing. The real untamed dance came with Stravinsky’s Rite of Spring. The TSO was on fire; under Petrenko’s baton, they played like the TSOul. Most of you will be familiar with the story that Rite of Spring caused a real stir (read: riot!) when first performed in 1913 Paris. 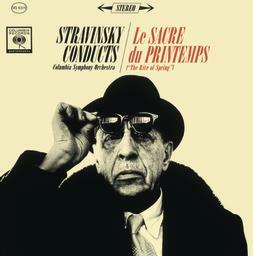 In a well-known essay, “A Myth of the Twentieth Century: The Rite of Spring, the Tradition of the New, and ‘The Music Itself,'” Richard Taruskin has suggested that Stravinsky himself was responsible for sparking the myth that his music was the root cause of the rioting. Stravinsky the spin doctor. I’m left wondering what music one would have to play to cause a riot in our day. The Rite of Spring is certainly something of a spectacle, but I’m simply not convinced that people care enough about music (nor should they) to riot in the streets. (The generally nonviolent reaction to Nickelback, the apotheosis of awful, is a case and point. ***) But I think of present-day spectacles: On the last occasion I unintentionally saw Lady Gaga perform on television, I also – perchance – saw her labia. And there’s something odd in saying that about someone you’ve actually never seen naked. Alas, with my train of thought thus derailed, I guess the feeling of spring must be in the air. The Rite of Spring: OMGaga. *** My lovely girlfriend reminds me that the reaction has not always been nonviolent. I’m left wondering what music one would have to play to cause a riot in our day. The Rite of Spring is certainly something of a spectacle, but I’m simply not convinced that people care enough about music (nor should they) to riot in the streets. (The generally nonviolent reaction to Nickelback, the apotheosis of awful, is a case and point. ***) But I think of present-day spectacles: On the last occasion I unintentionally saw Lady Gaga perform on television, I also – perchance – saw her labia. And there’s something odd in saying that about someone you’ve actually never seen naked. Alas, with my train of thought thus derailed, I guess the feeling of spring must in the air. The Rite of Spring: OMGaga.